[C2] What type is my engine? What type is my engine? Hi all, I just received a 1967 C2 Corvette but it has engine swap and I could not find from the internet what type of engine is it. It seems like a Chevy engine (small block) with a Fuel injection (I suppose swapped from carburetor). 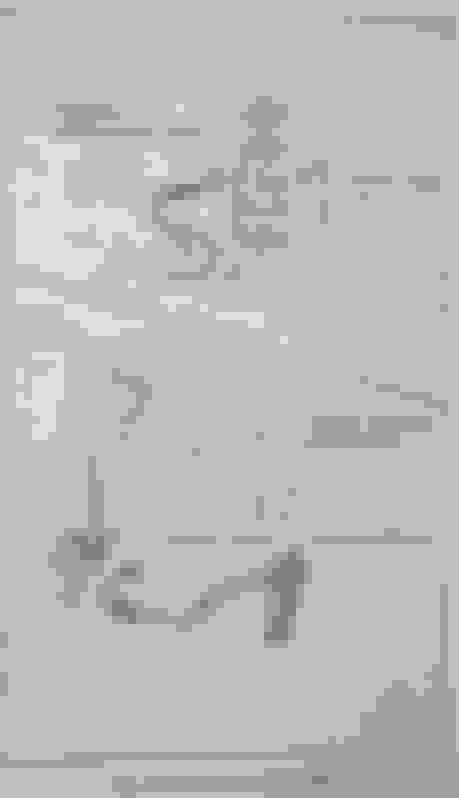 I searched the internet and found my engine code, but as I googled this code I found nothing. Like 0 answers.. Hope you can help me as you probably are more familiar with Chevy engines. First, nice looking fuelie engine you've got there. A CE is a "counter exchange" block, sold at Chevy dealers, often used for warrantee repairs for a blown up engine. A 3970010 block came into production in April or May of 1969, and used through 1979, and, as such, was never built in an original C2 or fuelie. Last edited by Easy Rhino; 01-25-2018 at 08:13 PM. The “CE” program started in 1968 to identify warranty and service replacement blocks. "CE" is for Chevrolet Engine, followed by a number for the year of manufacture, and a five-digit engine plant sequence number. Nothing in that sequence number has anything to do with the engine's mechanical configuration. The stamping won't tell you anything except the year it was made and the engine plant it came from. 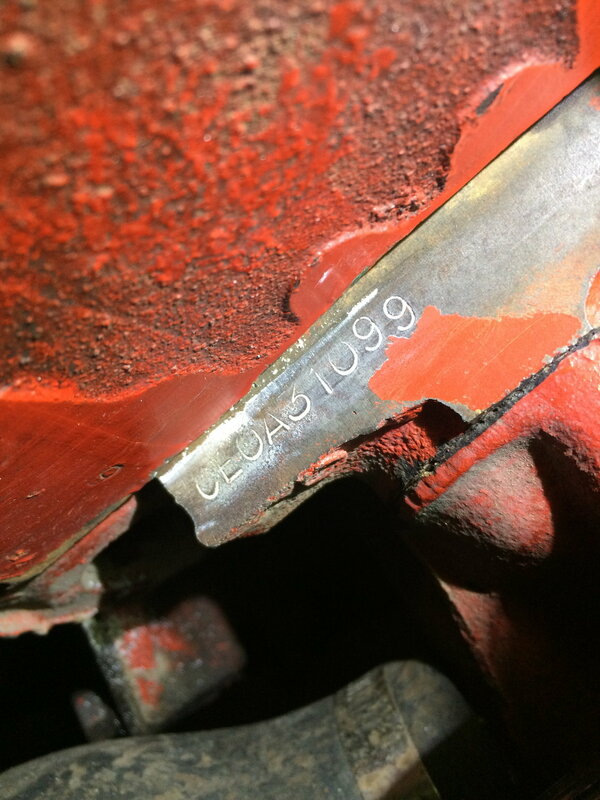 Your specific stamp - "CE" means "Chevrolet Engine" – “0” means 1970 – “A” means it is in the second series of the sequence range assigned to Flint* – “31099” is the sequence number of the engine. *Engine plants were assigned a sequence of numbers. The Flint V8 Engine Plant as assigned the sequence 20000 to 49999. If more engines were manufactured at a given plant in a year than the range of sequence numbers allotted, the plant would re-use the numbers using the letter "A" after the "CE" and year designation. IIRC a 010 casting is a four bolt main block used for years. Not necessarily a 4 bolt , but I think I see double hump heads. So could be. 010 block was typically a 350 cubic inch, and was used in many different HP combinations in cars (all the way up to a LT1 370 HP Corvette / 360 HP Camaro), and trucks. So advise what the heads and intake numbers are, and we can tell you more of what we think you have. Note that the one photo you provided of the intake, just tells you the Firing Order (18436572). There should be another area that has a casting number. 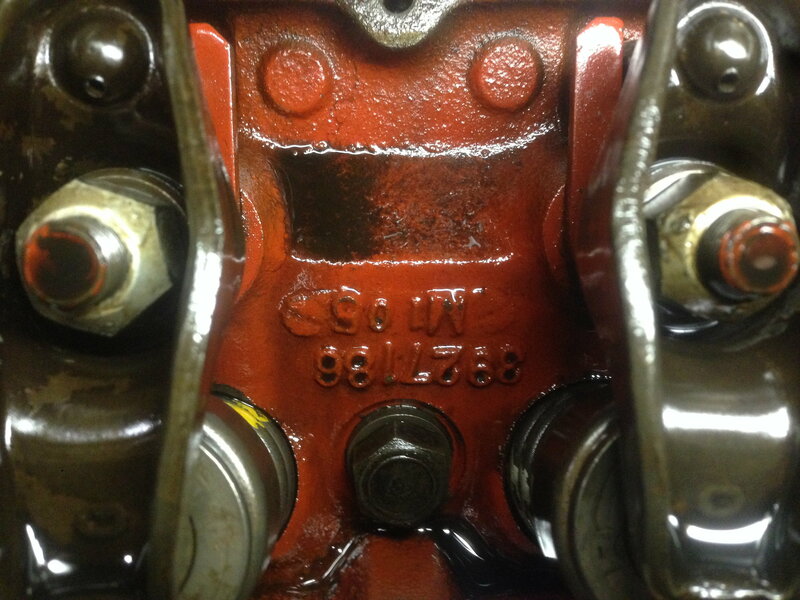 The head casting numbers are under the valve covers, but sometimes you can see it through an oil fill cap. Last edited by Plasticman; 01-25-2018 at 10:28 PM. As has been said, CE was the code for Chevrolet warranty and service replacement short blocks and complete engines. While I have heard both "Counter Exchange" and "Chevrolet Engine", as well as "Crate Engine" and "Counter Engine", claimed to be what CE stands for, I don't know that any are true. I've never seen anything definitive as to what it stood for. It could even be just a random pair of letters, that GM assigned to Chevrolet replacement engines? Mike67nv is right about the dating. 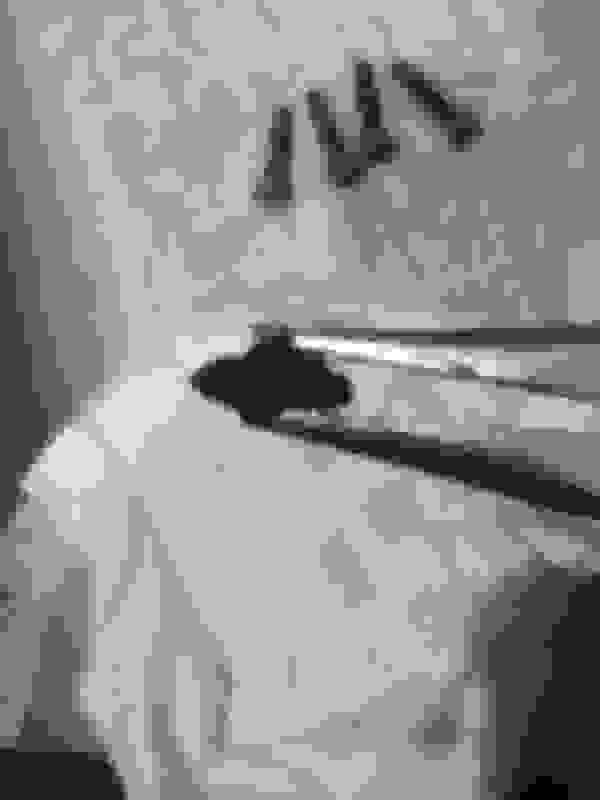 The digit after the CE is the date code, in this case "0" is 1970. As far as the "010" block, they were used from 1969 through 1979, for 350 engines, in both 2 and 4 bolt versions. The 010 may be the most common of all Chevrolet blocks, as millions of them were likely made. This should clear up any misunderstanding of the CE designation - it stands for Chevrolet Engine. It was posted by the Camaro Research Group some time ago. Last edited by Mike67nv; 01-26-2018 at 12:05 AM. Hi again, you guys are the best! Thank you all for this discussion. I will try to take some photos of intake manifold numbers and head numbers under valve cover - thanks Plasticman for the advice! 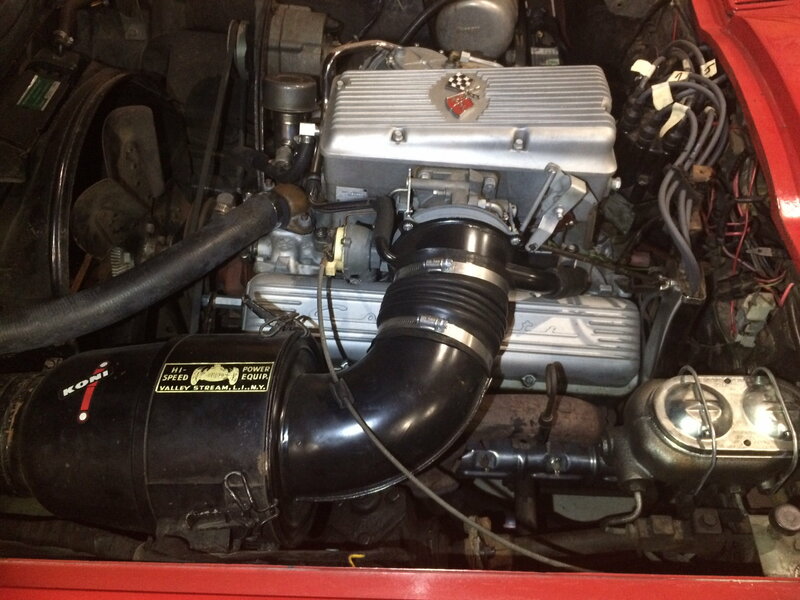 I talked with previous owner (second owner) and he told me that he thinks it is a 1970 year, 350 small block, solid lifters cam?, 365HP, originally with carburetor but with changed to fuel injection (1965 year?). It sounds very similar with LT-1 from 1970 year (370HP). One other thing, what do you mean by 2 bolt or 4 bolt versions? How can I tell whether it is 2 or 4? 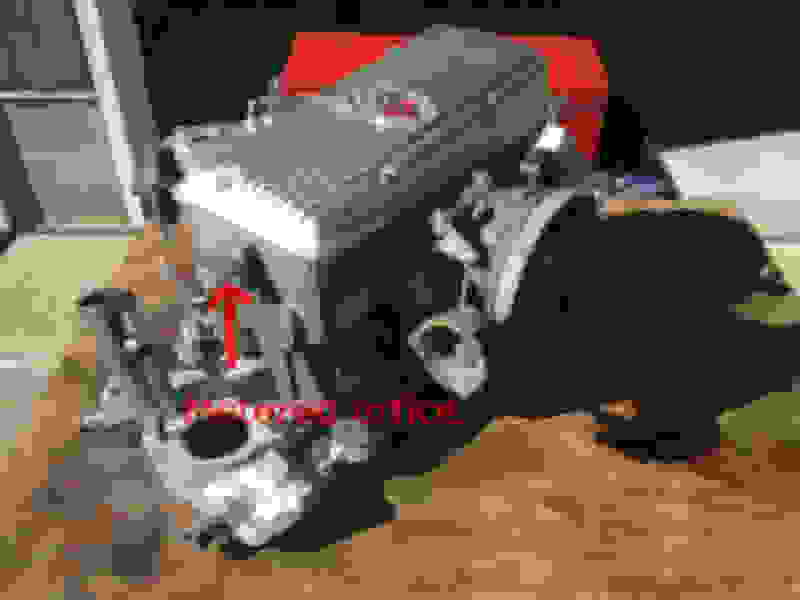 Sorry for all these amateur questions but I have searched a lot from the internet and there is so much and very different information about the engine specs. As for now I just know that 4 bolt is better because of it can take more heat? Please be noted that I try to keep up with all your terms and such. I am from Northern Europe and English is not my first language. 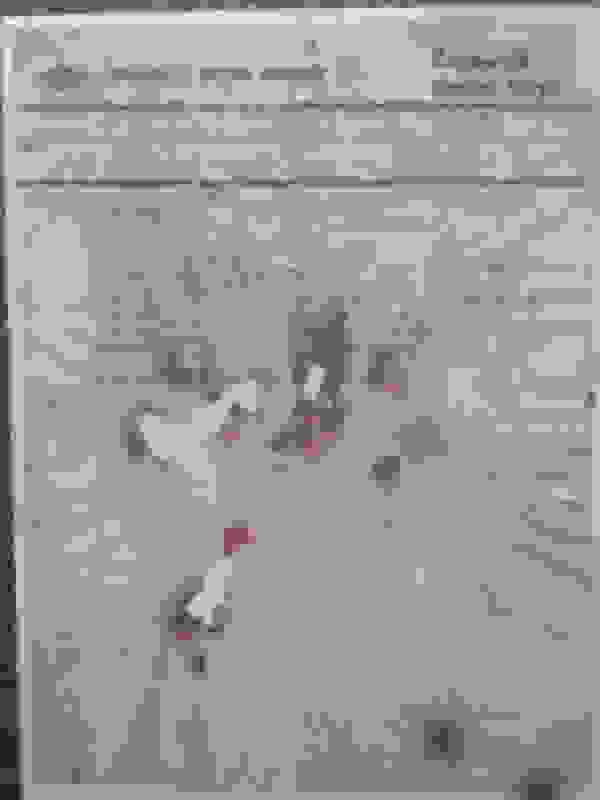 Last edited by marx1188; 01-26-2018 at 01:10 AM. You posted the car was 1967 is this correct? 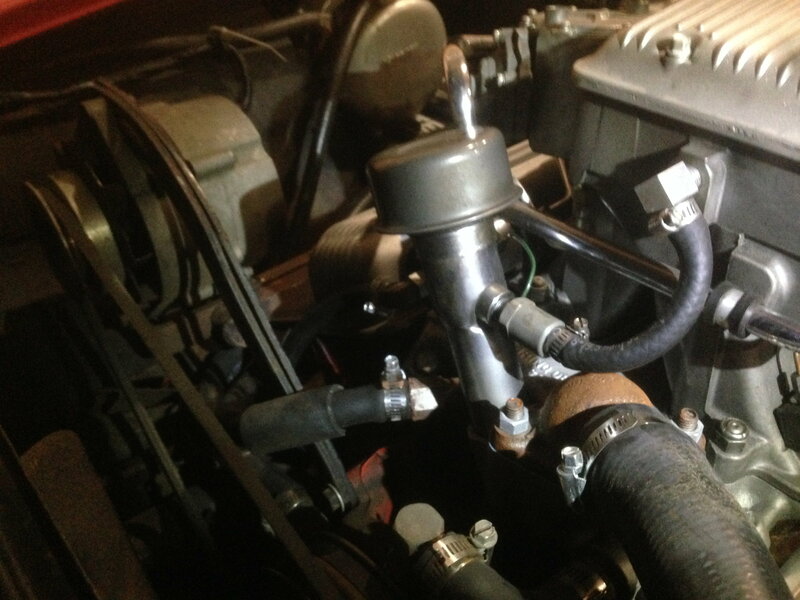 I ask because your photos show the the radiator shroud to be 63-65 and the brake master 67. I hope you take the time to read this lengthy post through. I can’t add to what others have posted about your particular engine. I wondered if the engine displacement might be a 383. I did observe you may have a problem brewing, that being the valve covers not having breathers installed. 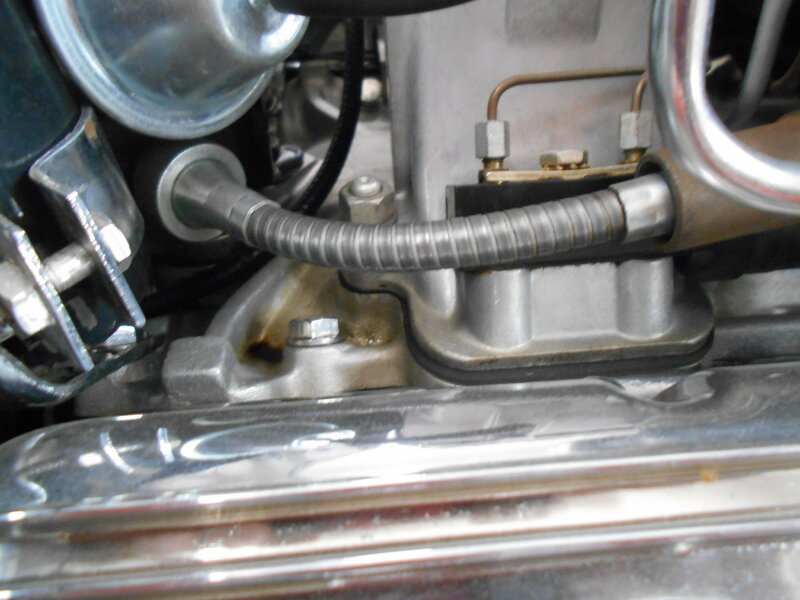 The PCV is connected at the oil fill and front of the FI plenum and that is OK. I could not determine where the fresh air intake for the crankcase vent was coming from. Advise you determine where the fresh air crankcase ventilation was added as this provision limits crankcase pressure. 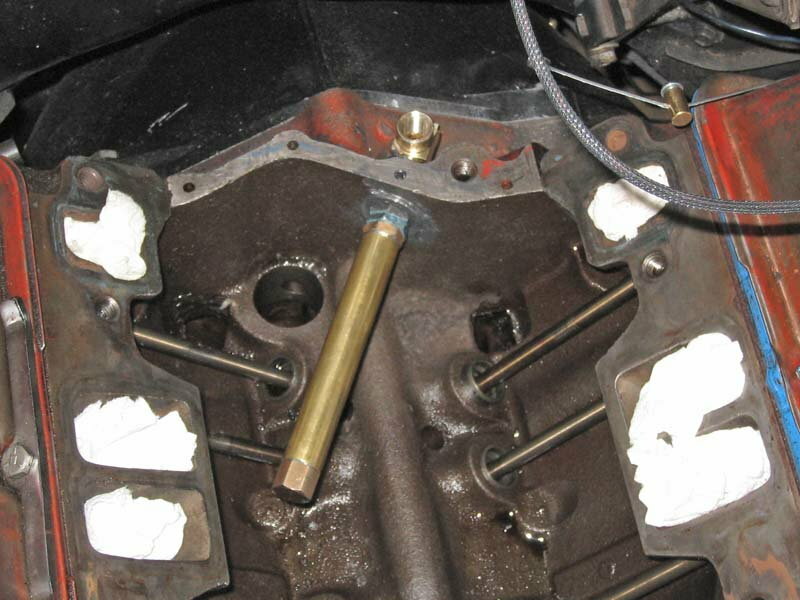 This has to be added either at the valve covers or rear of the block. The 010 block you have did not have the rear crankcase vent provision cast in. 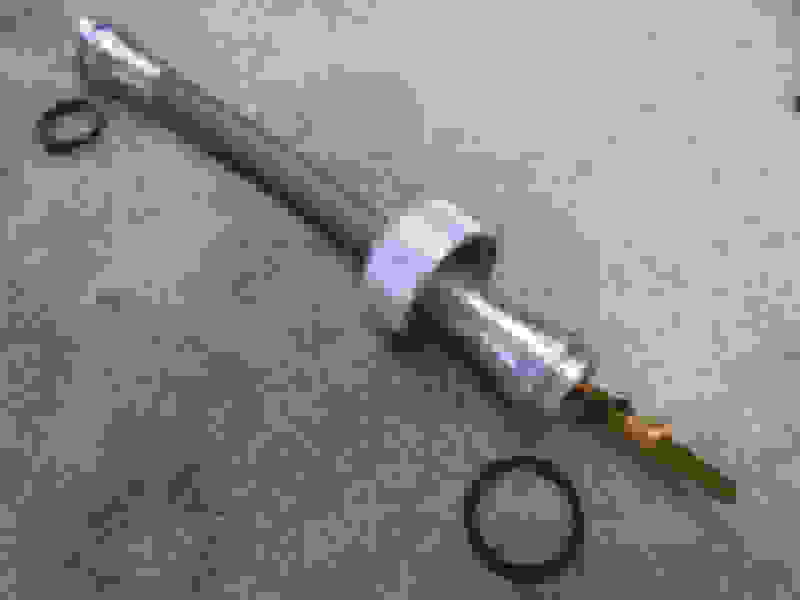 A pressure buildup in the crankcase will be released when the dipstick pops out, gaskets fail, or oil cap fails accompanied by at least some oil. 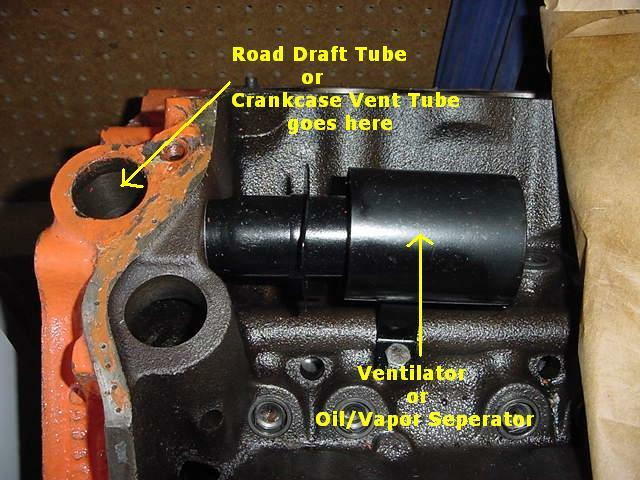 IF you have to add the crankcase vent and chose the valve cover location research what needs to be done. Also please don't butcher the valve covers you currently have as there are plenty of modified ones available and the ones you have can be saved or sold to someone looking for a clean unmodified set. Maybe the builder of your engine cleverly fabricated the intake side and hid it but it needs to be filtered air. Unfiltered air is not good on any engine but on your engine with FI it can cause headaches. The injector nozzles have a small wire mesh filter inside. The idle air is ported to the nozzle blocks so any air not filtered will deposit debris over them given time and plug the injectors. Cleaning the screens is possible but not my idea of fun. You stated you are not familiar with Chevrolet engines so you may not be at all familiar with the Rochester FI system on your car. The last year for FI was 1965. Your FI system looks fresh, is it possible for you to ask the previous owner if and who rebuilt it. These are very reliable systems but they have their quirks and one should understand the operation, you are not likely to have a local mechanic who will have a clue, especially in Europe. That was the problem when these FI systems were new and is so now. The 63 service manual or separate operation and service manuals available are a must read if you are committed to running this system. I also see that the high pressure pump for the FI does not have the outer casing for the drive cable. No harm in that as it will run fine that way and some members of the forum run theirs this way. I do want to mention that if you do not have a spare drive cable and the one you have breaks or goes missing you are not moving the car under its own power till that cable is replaced. By the way welcome to the forum. This was a long post, but I hope the info is useful. Many members of the forum know way more than I do and willing to share their knowledge. 2-bolt or 4-bolt refers to the main bearing caps. 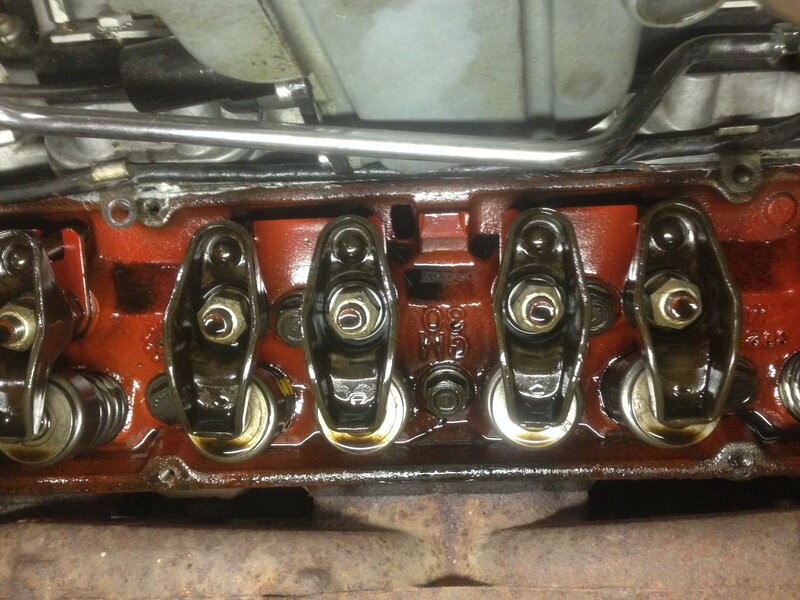 Some engines had two bolts securing the crankshaft main bearing caps to the block, and some engines had 4. The caps with 4 bolts securing them were considered to be stronger. It's not really an issue unless you're planning on spinning the engine up to 6 grand or higher on a regular basis. Millions of Chevy small blocks were built with 2-bolt mains, and they held up just fine in normal usage. [QUOTE=Vitaminmopar;1596454188]You posted the car was 1967 is this correct? 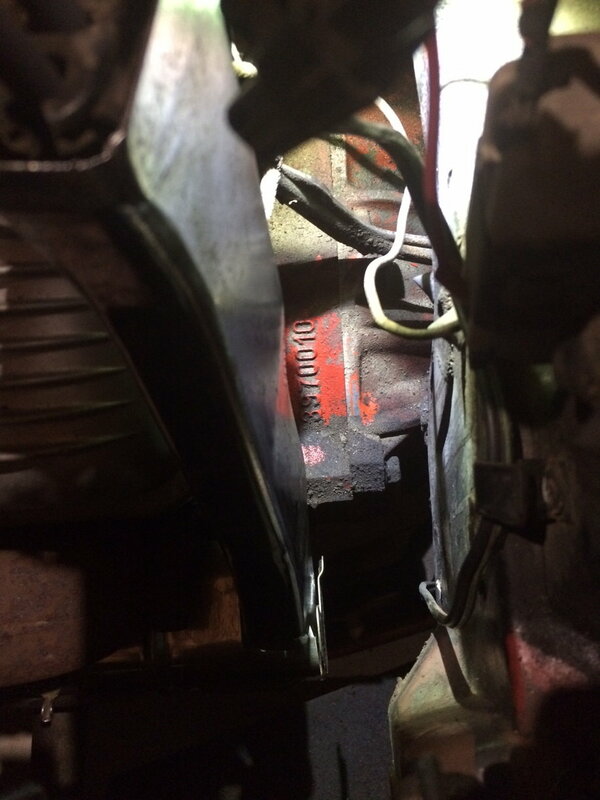 I ask because your photos show the the radiator shroud to be 63-65 and the brake master 67. I hope you take the time to read this lengthy post through. Vitaminmopar thank you very much for your response and help. I did read your post, and even 4 times because it got more complicated than I have use to (my low knowledge in terms). But thanks for posting pictures - they illustrated your post very well. I will wire few thing about my car and try to reply your questions and provide more information and perhaps there will be more ideas regarding the engine and its compilation. Yes I am sure that it is 1967 Corvette C2. VIN: 194677S104774. Even the exterior refers to 1967 (fender ribs, GM Blue badge on the doors (quality mark? ), no side Corvette emblems). This is the copy of a original. Still have the original as well but you can see it is damaged. Now regarding the crankcase ventilation. At the moment I think that it still has the ventilation. Not in the valve covers but through the intake manifold as you mentioned was an possible option. 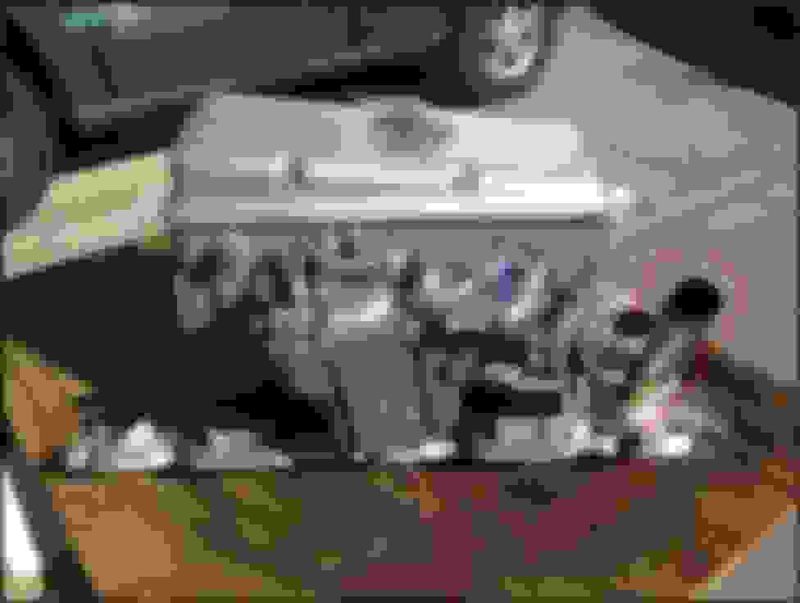 Here is some photos so you can tell me if I am correct or if I am wrong. Front end of the motor. That vented tube that is connected to fulie and intake manifold? Or is it not enough and there has to be additional ventilation? 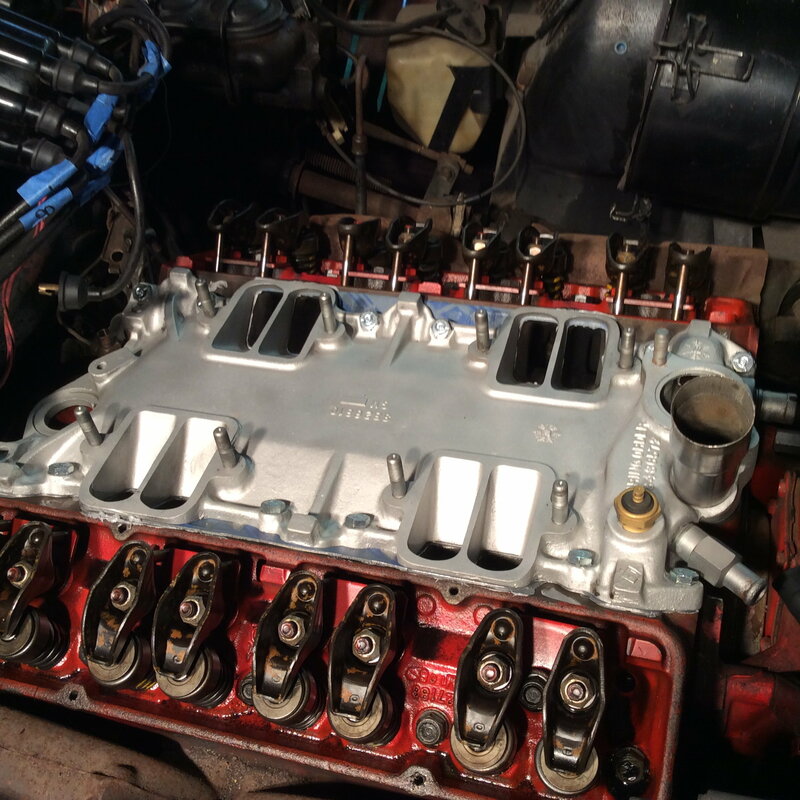 Now about the Rochester Fuel Injection: I let it rebuilt in 2014 in US because first time we got the car engine running there were many leaks from FI gaskets. And lack of my knowledge and searching through the internet showed me that I could not find anyone from Europe who has experience and knowledge of this type of fuel injection. So it was clear decision that it has to be done in US. I am sorry but I do not find any documents what is that mans' name who rebuilt it. I also see that the high pressure pump for the FI does not have the outer casing for the drive cable. What do you mean by that. 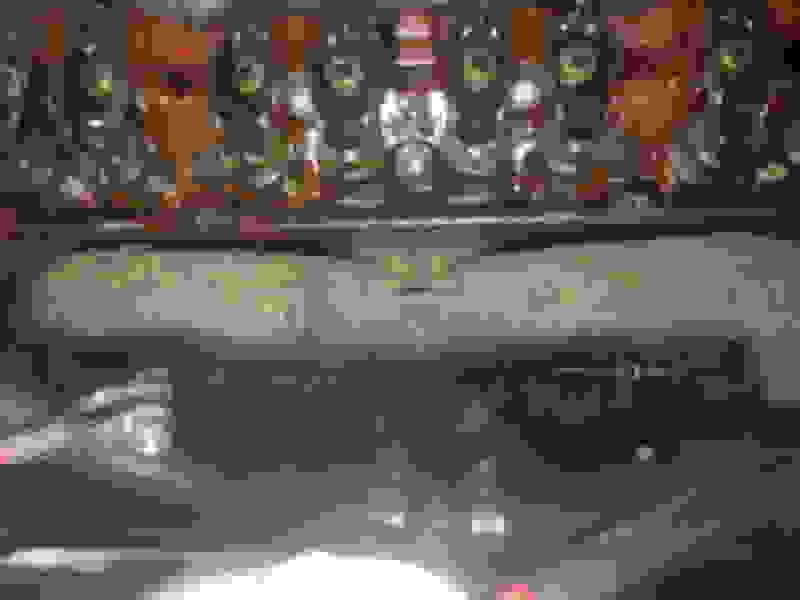 Can you point it out on my pictures where it is missing? 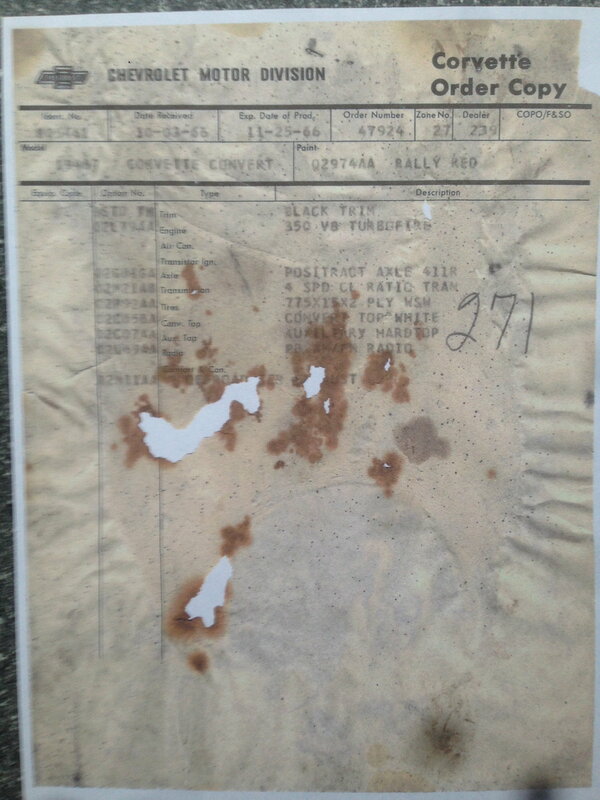 I ask because your photos show the the radiator shroud to be 63-65 and the brake master 67. How can I tell the difference between 63-65 and 67 radiator? Found the old cork gasket fragment in valve chambers. It was as stiff as rock already. Hi Marx, First off I have to admire your courage for having an American Muscle Car so far from the US. Secondly I hope Russia does not feel threatened by all the horsepower so close to the border, I guess it helps that the car is red. Ok first photo is of the air cleaner adapter. The port indicated went to the rear crankcase vent and it appears to not be blocked off. You want to have this port blocked off if you are not going to use it. A plug or cap will work. You do not want unfiltered air to enter through this port as it will allow unfiltered air into the engine and FI nozzles. Second photo is of the cable I mentioned. If you do not have a spare, get one because if it breaks or goes missing your car will not move as it will not be able to get fuel to the injector nozzles. Since the outer casing is not present you can remove the cable as a theft deterrent as anyone trying to take the car will have to push, pull or tow it away. Remember to reinsert the drive cable when you want to drive the car and carry the spare cable in the glove box. Third photo is of the metered orifice on the front of the plenum. You have a PCV valve also connected in series to this. The original factory configuration used a closed crankcase where air was drawn from the rear of the block after it had been filtered. Refer to photo 4 for the original engine configuration. 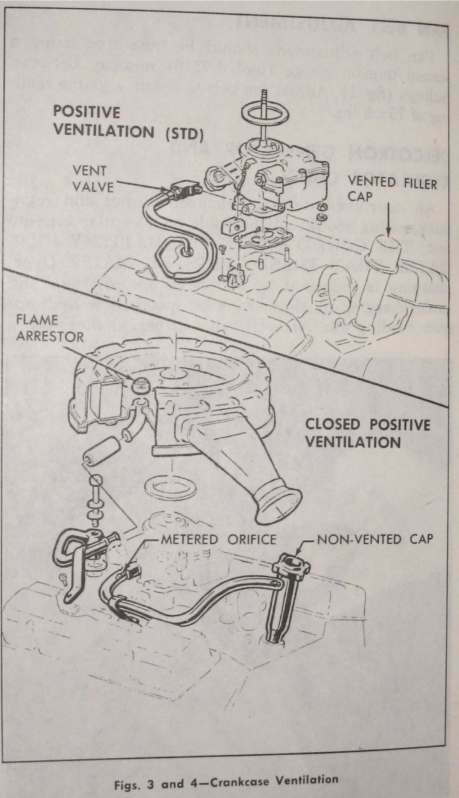 The air flow was drawn off the air cleaner adapter port as shown in photo 1, through a flame arrestor, then to the rear of the block, through the vapor/oil separator, up to the oil fill tube which had a non-vented cap, through the metered orifice (no PCV) and then back into the engine. Refer to photo 4 for the components. The engine’s present configuration may be an open crankcase. You will have to check the oil fill tube cap has vent holes to know. 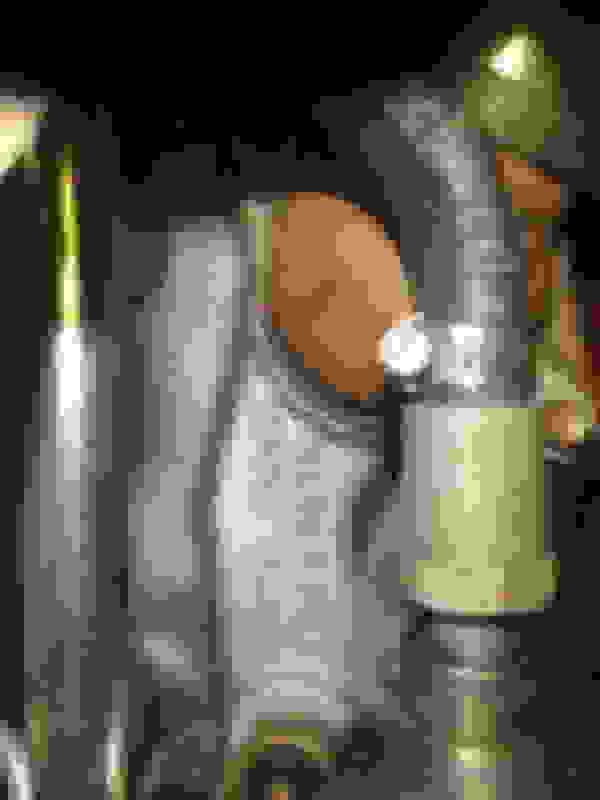 If it is a vented cap then the crankcase pressure has a path to escape. This is not an ideal configuration but if you have not had any problems with your driving style I think it can be left as is. If you were to close off the oil fill tube with a non-vented cap problems with oil control are likely. The closed crankcase was an emissions system and was good for the earth and the engine. The copy of the window sticker shows the engine to be a 350 Turbofire V8. The 350 designation refers to the horsepower not the engine displacement. 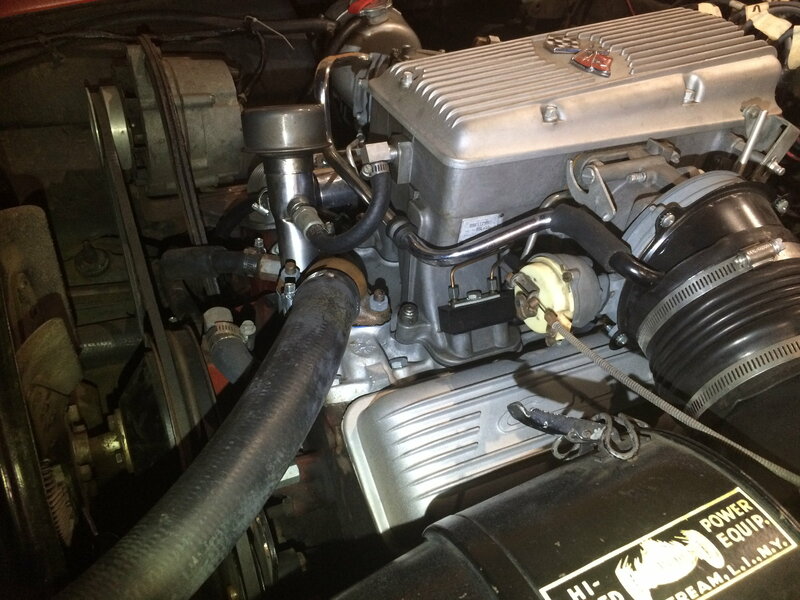 The 350 CI or 5.7L engine first appeared in 1967 as an engine option for the new model Camero. Why Chevrolet did not offer it in the Corvette instead of the Camero is a question I can’t answer. The 5.7L did not become available across the entire Chevrolet product line until 1969. You can find the casting date for the block on the passenger side on the bell housing flange. If the engine was in the car for 42 years then it most likely is a 350/5.7 and not a 383. Finally, the reason I thought your car might be a 1965 model was because of the fan shroud being metal. The fan shroud changed to a plastic one in 1966. The 1966 shroud probably would not mate with the 63-65 radiator support with the FI air cleaner provision. Nice looking car and wish mine were equal to it. Be sure to get a service manual and a spare cable for the injector. If you choose to drive your car without using the (required) outer casing for the Fuel Injection drive cable, then when you exceed about 5000 rpm, the drive cable will set up a standing wave and detach itself from the high pressure pump....leaving you stranded in the oncoming lane as you were about to pass a car in your lane. On the other hand, IF you don't ever exceed 5000 rpm, then REMOVE the drive cable each time you leave the car parked. It becomes an excellent theft deterrent. You want to have this port blocked off if you are not going to use it. A plug or cap will work. Everything is good with that, it is blocked from inside of tube- I checked. If you do not have a spare, get one because if it breaks or goes missing your car will not move as it will not be able to get fuel to the injector nozzles. You know what? I just found that exact same spare cable! It came along with a car. Lucky me I guess. Previous owner was already familiar with that problem I guess. The original factory configuration used a closed crankcase where air was drawn from the rear of the block after it had been filtered. 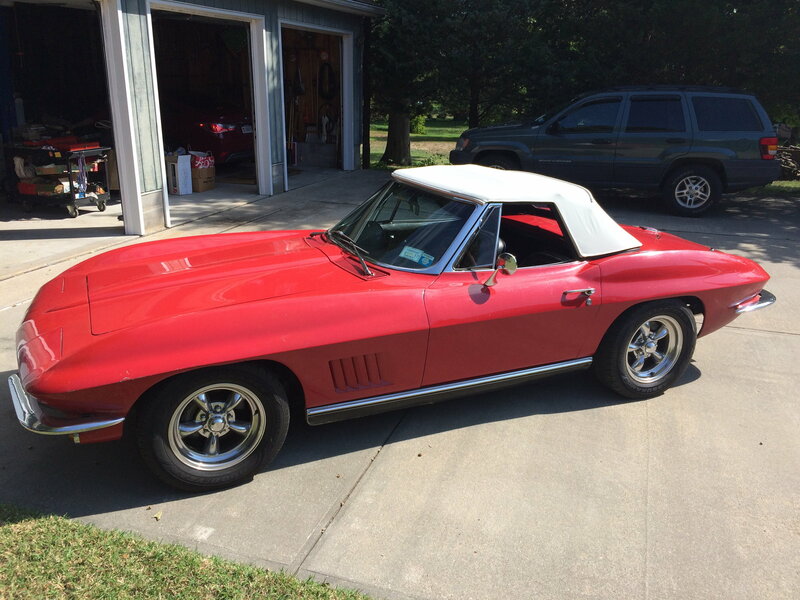 I just read 1963 Corvette Shop Manual and I believe that I have what is called "Special positive crankcase ventilation system". There is said that "Special positive ventilation system uses a vented-meshed oil filler cap for clean air intake to the engine. While closed positive ventilation system draws the clean air from the carburetor air cleaner and has a non vented oil filler cap". I have this vented-meshed oil filler cap so I think that is all good with that. 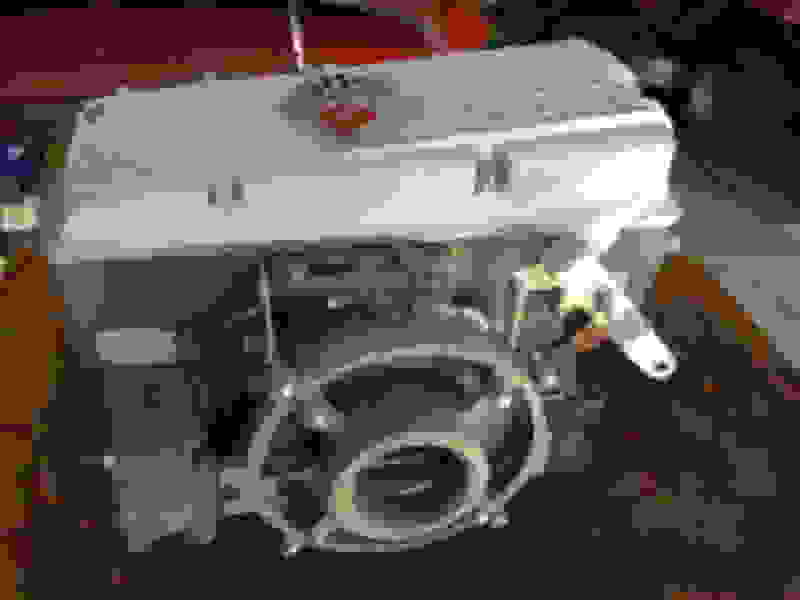 Engine it self is 1970 year with 350 block. It seems to be that it is ordered from GM/Chevy dealer. You are correct, there is metal fan shroud. And thanks for your support! I am already collecting all those service manuals and such. Or can anyone tell me is it any good setup? I suppose the engine block and heads were bought together. And then swapped from carburetor to FI. Heads are 1968 to 1972 production, and have a nominal 64 cc combustion chamber, with 1.94/1.5 or 2.02/1.6 valves. Both valve sizes were used depending on what engine they were going on. I have used a bore scope to determine valve size (bore scope is a camera / optical system that allows the camera to be inserted into the spark plug hole to view the inside of the combustion chamber), but you need to know what you were looking at to determine valve sizes. Bore scope could also tell you what pistons were installed, but again, you would need to know what you were looking for. They are very good production heads, and depending on the pistons used, can develop great power. From what we can see, your engine is "probably" a 350 CI (but that is a guess at best - depends on what crankshaft was used and if the block has been bored out at all). With the FI, and other components we do know, I would rate the engine at 350 to 365 gross HP, but that could go up or down depending on the internal components. Last edited by Plasticman; 01-28-2018 at 10:13 AM. Here is how your drive cable and cable housing should look when installed. Also, the complete drive cable/housing is made up of 6 parts: Cable housing, nut, cable, thrust washer on cable, O-ring on hi-press pump end of housing, gasket on dist end of housing. The cable needs to be HEAVILY greased inside the cable housing--------------------repeat, HEAVY! Last edited by DZAUTO; 01-28-2018 at 11:29 AM. Heads: 3927186: cast in 1969-70, 63.3cc, essentially an updated 461 head. 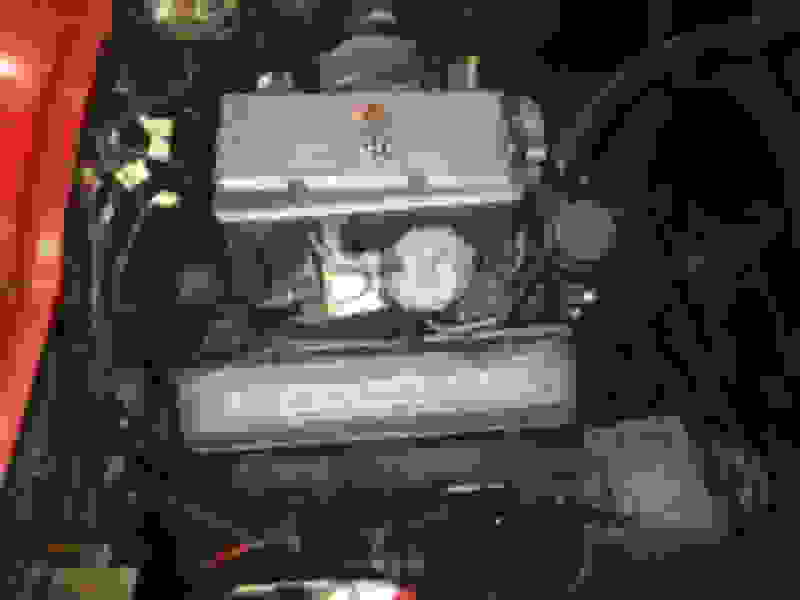 With 1.94 valves used in 300HP 350 c.i., with 2.02 valves used in 370HP LT1 350 engine. These are good heads, but I cannot account for an M105 date. Intake: 3826810: correct for a 1965 fuelie. Exhaust: 3797902: SHP exhaust manifolds with 2.5" outlets, used 62-65. F/I: 7017380: a correct 1965 F/I serial number. My guess is that your F/I is sitting on what is nominally an LT1 engine - nice combo. Now, for your heads, look under the covers: according to Colvin, the LT1 used heads have factory installed screw in studs and guide plates. So, if yours have originals guide plates, you have 2.02 valves. Also, for your exhaust manifolds, do either side have the heat riser tube that enters the manifold at an angle close to the center outlets and exits out the bottom? After all the very useful information you have received, I hate to even mention this. But, before you attend your first car show, turn the flags around on the injection cover. They're flipped around. You're going to get a lot of attention with that beautiful car! 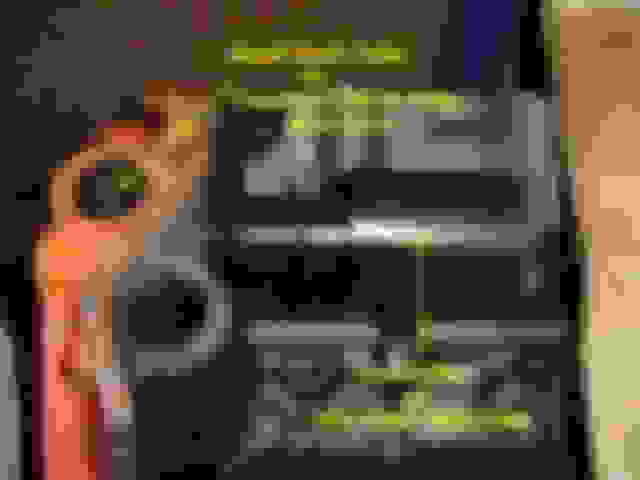 Quick Reply: [C2] What type is my engine?